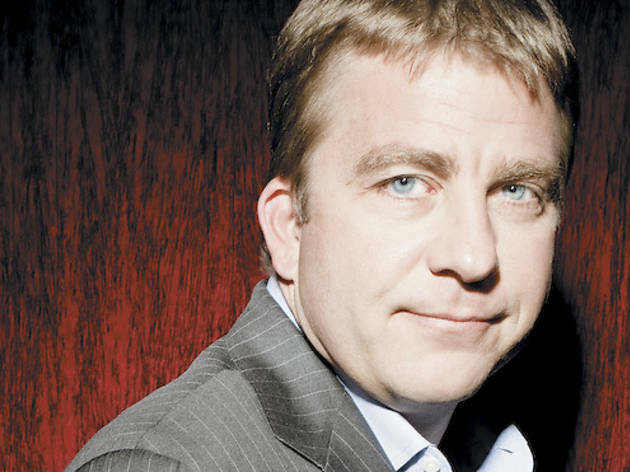 Q&A: Peter Billingsley of A Christmas Story, The Musical! Worldwide icon-chevron-right North America icon-chevron-right United States icon-chevron-right Illinois icon-chevron-right Chicago icon-chevron-right Q&A: Peter Billingsley on A Christmas Story, The Musical! 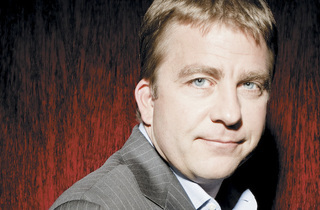 Q&A: Peter Billingsley on A Christmas Story, The Musical! Nearly 30 years after gaining fame as a an F-word-dropping, bunny-suit-wearing, BB-gun-toting nine-year-old, Peter Billingsley plays producer for A Christmas Story, The Musical!. “You couldn’t have predicted it, no matter what people tell you,” Peter Billingsley says of the lasting success of A Christmas Story, the 1983 film that would immortalize him as chubby-cheeked, BB gun–coveting kid Ralphie. Billingsley, now a handsome, affable 40-year-old, moved on to work behind the scenes as a producer and director, often collaborating with his pal Vince Vaughn (see: The Break-Up, Four Christmases, Couples Retreat). Now Billingsley’s revisiting Ralphie, having signed on as a producer of the new A Christmas Story, The Musical!, which ends a five-city seasonal tour this month at the Chicago Theatre. He sat down with us recently in the Walnut Room at Macy’s to share his Christmas spirit. When I first heard “A Christmas Story, the musical,” I thought, Oh, that could be really good. It just felt like it fit. Some films lend themselves well to other formats, some don’t, but there are so many fantasy sequences in the film and Ralphie’s such a dreamer as a character, I thought they could really lend themselves to being set pieces. I got in touch with the producers and they got me the book. I said if I’m inspired by the creative, which is how I approach anything, I’ll consider getting involved. And I really was. The story was great; I thought the music was terrific. Also, I just thought a new seasonal show’s not a bad thing. I remember as a kid going to see The Nutcracker [Rolls eyes]. It’s like, isn’t it time for something fun, you know? So you approached the lead producers, rather than them coming to you? They had reached out to me. I have not [had] a ton of experience with stage and theater, but I had done with Vince the Wild West Comedy Shows that we tour across the country, and we play a lot of similar-size venues to what we’re doing with this. It’s still storytelling, and I got excited about it. It’s really the first [thing] I’ve done with Christmas Story since the film. No, no no no, by no means. Just a feeling like, sometimes when something’s successful, people try to monetize on it. It was great, the movie was terrific and I appreciate it and like it, but there was never a need to do anything about it until this came along and I thought, Boy, that’s really smart. My impression is that the film was not an immediate hit. Yeah, it really benefited from the birth of cable and HBO and home video. It started as just a recent Christmas movie getting seasonal play and morphed into this 24-hour marathon, which is amazing. So what was your experience with the movie’s fame? It was delayed. Some people saw it in the theaters; it did okay, but it wasn’t a bang-up hit. But then it just kept rearing its head up again and again and again. It was not expected. It was a different set. I’d been around all these hyped sets where the movie flopped; this was just a bunch of really dedicated, devoted people that had little resources, a small budget. [Director] Bob Clark and [writer] Jean Shepherd had worked for close to 12 years to get it made. They really believed in it. It was a good early lesson for me in the business. A Christmas Story, The Musical! runs through December 30.